Just a couple days ago, I found myself in an all too familiar online ordering dilemma. My boss was holding a lunch meeting and put me in charge of ordering the food. Before I could even pull up my Yelp app, I was bombarded by emails with two types of requests: healthy and unhealthy. “Just order from the deli downstairs; they have salads,” my colleague non-nonchalantly suggested. He didn’t understand. As any health conscious consumer knows, a garden salad simply does not cut it today. While I commend any restaurant for offering healthy options to their customers, it’s 2015 and no one wants to eat a bed of lettuce or a plate of steamed vegetables. In order to cater to healthy eaters, it’s time for restaurants to get a little more creative. Today, consumers are more educated than ever on what to look for when maintaining a balanced diet. A whopping 72% of consumers reported that they’re more likely to visit restaurants with healthy options on their menus. But what exactly are these consumers looking for? Today, healthy eaters are looking for functional foods. Functional foods are those that reduce disease and promote health and weight loss. Today, 36% of consumers are specifically interested in high-fiber foods like Brussel sprouts and black beans. 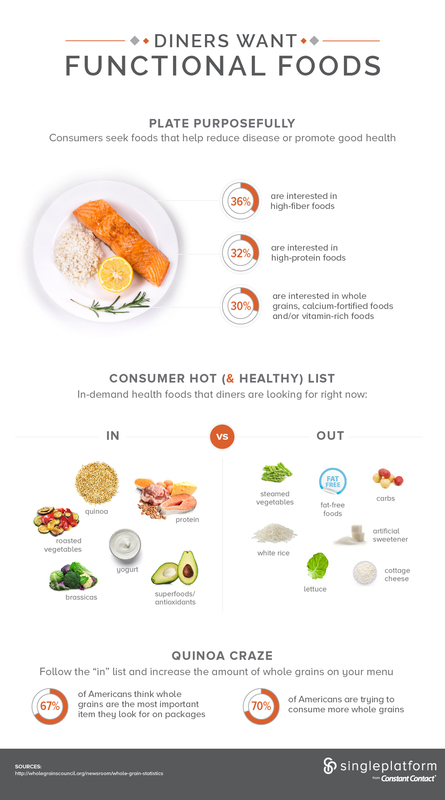 32% of consumers are interested in high protein foods like Greek yogurt, grilled chicken and salmon. Breakfast & Brunch: There is nothing worse than finding that the only healthy option on a breakfast menu is a sad fruit bowl. Even worse, receiving a bowl full of tasteless fruit that isn’t enjoyable or filling. Smoothies and Acai bowls are a tasty alternative that allow diners to pick and choose their fruit combination. Take it a step further by offering veggie & protein additives (like kale & almond butter) and creative toppings like coconut & granola. Smoothies are also a great item to offer on a lunch or snack menu. 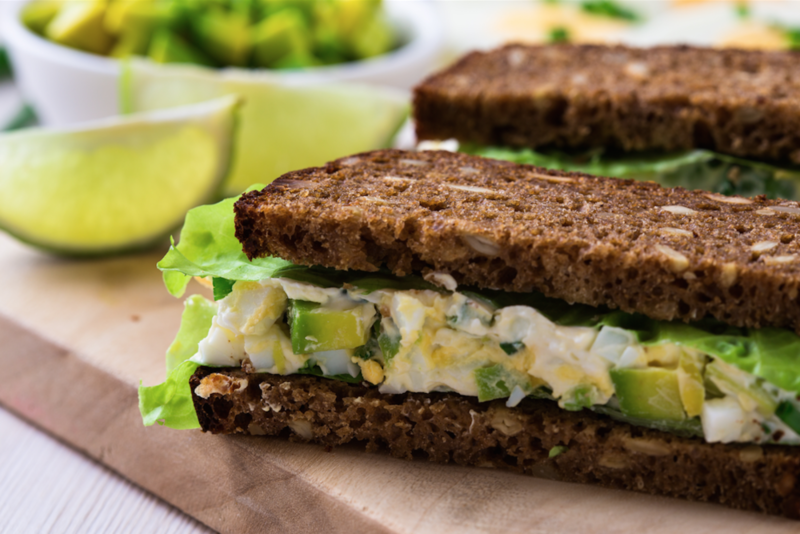 Lunch: As I touched on earlier, healthy eaters are continuously disappointed with lunch menus that force us to choose between hearty calorie-packed sandwiches and dull lifeless salads. One solution: Avocado. America is obsessed with avocados and even better, they have endless health benefits. Try adding something like avocado toast to the menu: mashed avocado & olive oil spread on whole wheat toast with optional toppings like tomato or red pepper flakes. Also, adding delicious protein-heavy foods like avocado, hummus, or hard-boiled eggs are a simple way to bulk up a salad. Dinner: High protein, low carb entrees are trending. Pair a protein like roasted chicken or grilled salmon with a low carb side like quinoa or lentils and you’ve got yourself a top selling entree. If you’re including veggies, stay away from steamed vegetables and basic side salads. Today, consumers are loving veggies like eggplant, beets and cauliflower, paired with low-fat cheeses or toasted nuts. For more awesome ideas, visit one of my favorite blogs: Clean Food Dirty City, or share your favorite healthy food blogs on our Facebook page or tweet us @SinglePlatform. And for more stats on what diners are craving now, check out another of our great infographics.